SPECIAL EARLY-JUNE PRICING -- ONLY $59 THROUGH JUNE 14! Have you been looking for a relatively easy way to significantly enhance your speaking business revenues? Are you hoping to do this without investing thousands in product inventory? Would you also like these efforts to lead to more live client bookings? We are now in an age where not only can you run your business remotely, go paperless, and live/work in the cloud, but now you can use cloud tools to deliver webinars for both marketing purposes and profit as well as develop streaming program versions of your most popular programs you can sell 24/7/365. 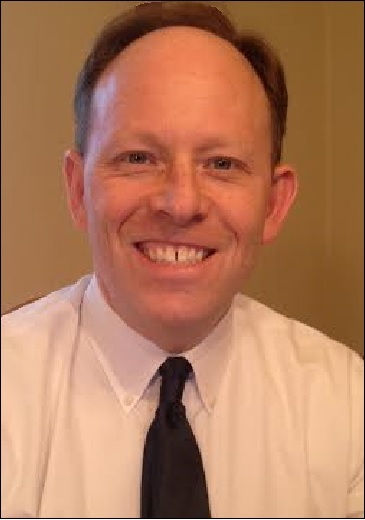 Of course, "the devil is in the details" -- Randy Dean, MBA, and longtime NSA Michigan member, will show you how he is using webinars to both promote and profit, as well as how he is developing and marketing his own online catalog of "anytime" streaming programs. He'll not only discuss the infrastructure necessary to make all of this happen, but also the critical marketing skills and strategies necessary to actually make money from your effort. He'll even share some ideas on how you can get others -- your clients and business partners, to sell for you! 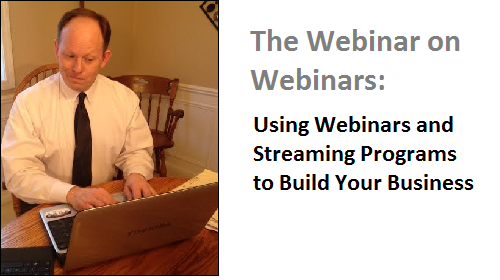 How both streaming programs and webinars can actually "feed off each other"
Getting your clients and business partners to sell for you! Using these efforts to also fill your calendar with more live in-person and private webinar speaking engagements. My expectation is that anyone attending this program will be able to immediately begin the process to start their webinar/streaming programs business. This really is a no-brainer, but has taken me about 5 years to really figure out how to do these, do them well, and make REAL money doing them. I'll cut down your learning and execution time dramatically if you attend this program. Randy Dean, MBA, the "E-mail Sanity Expert"(R), is a professional speaker and sought-after expert on time & e-mail management, effective organization, and the related use of technology. For more than 20 years, Randy has been leading training and speaking programs and presentations for major corporate, university, association, and government audiences. Obsessed with time management and personal productivity, he left a successful career as a graduate program admissions director, professional marketer, and manager to become a leading speaker and trainer. The author of the recent Amazon bestseller, Taming the E-mail Beast, he has led programs for thousands of satisfied and inspired students, managers, and professionals on being more productive and purposeful with their time and life. His highly informative and entertaining speaking and training programs leave audience members with immediately-usable tools, strategies, and skills on how to better manage their time, technology, and information overload following their program experience.